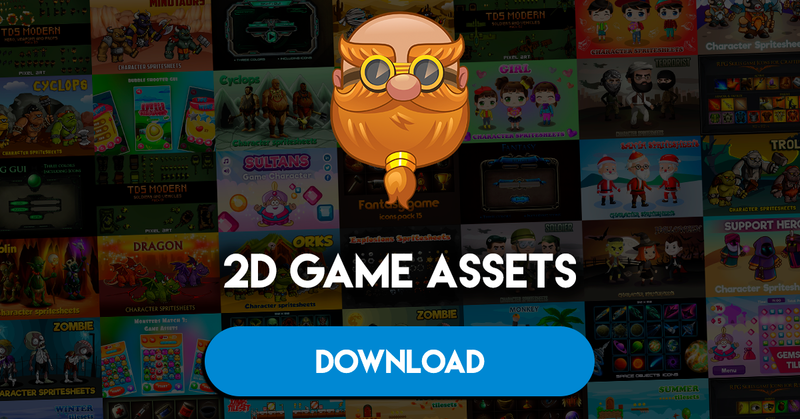 Clean and fresh game assets. Every assets was created with Adobe Illustrator and Adobe Animate. All PNG files have a transparent background and are sorted in separated folders. To edit the shape, size or color please open AI in Adobe Illustrator CS6 or above or EPS 10 file in a compatible program such as Inkscape . To edit the animations please open the spine file (FLA) in Adobe Animator CC. If you need assistance with this Package or any other our Article please contact me directly through my profile or email to gabi.wolf.bb@gmail.com ( office hour ).